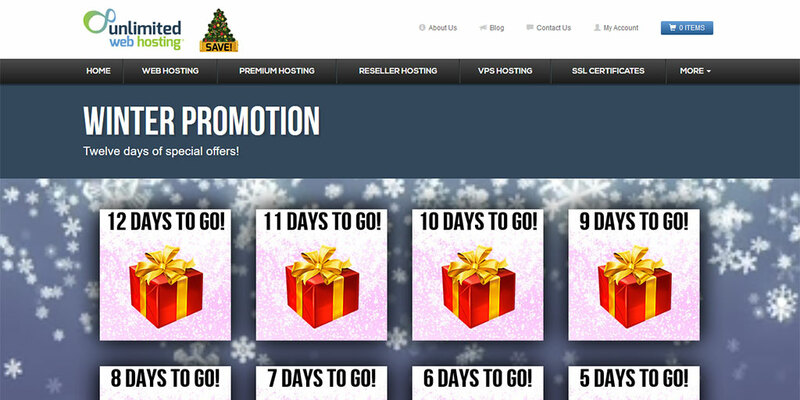 Our Twelve Days of Christmas promotion is live! Every day until Christmas we will be unlocking another door in our advent calender, with a different saving to be had behind each one. Once unlocked these offers will be valid until 8th January 2017, giving you plenty of time to make the most of the discounts. So far we have unlocked the doors for 12 Days and 11 Days to go, giving you money off Standard SSL certificates and Branded WHMCS licenses. Remember to keep checking back for new offers everyday! Check it out on our Winter Promotion page!